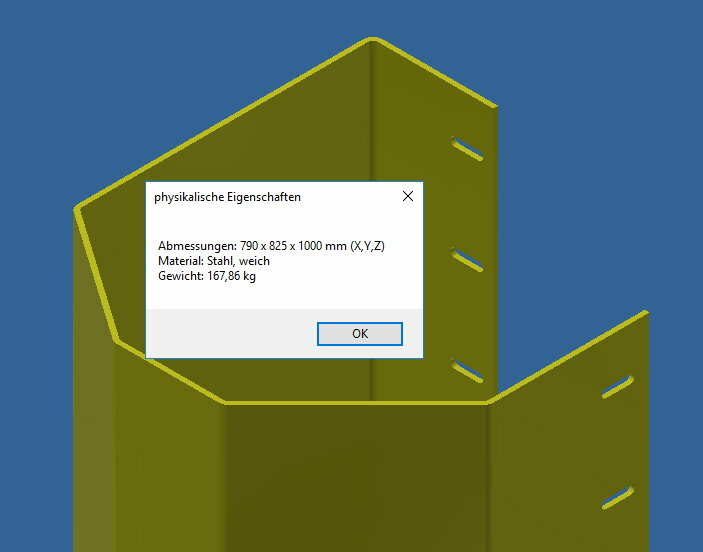 The tool physics can be found in the 3DCS Tools menu in assemblies and parts. It is often helpful during construction to get information about weight, part size (main dimensions) and material assigned. Physics delivers this information in one click without having to call the iProperties.